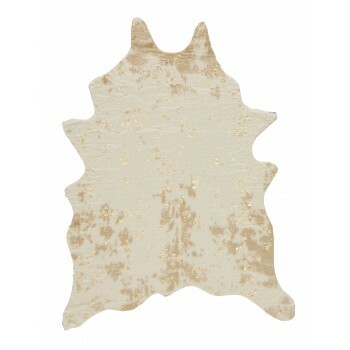 Giddy up and sink your feet into this accent rug. With the look and feel of cowhide, you’ll enjoy its contemporary style and practicality even more than the real thing. Trendy gold accents and a neutral palette make it an ideal choice for farmhouse chic enthusiasts.